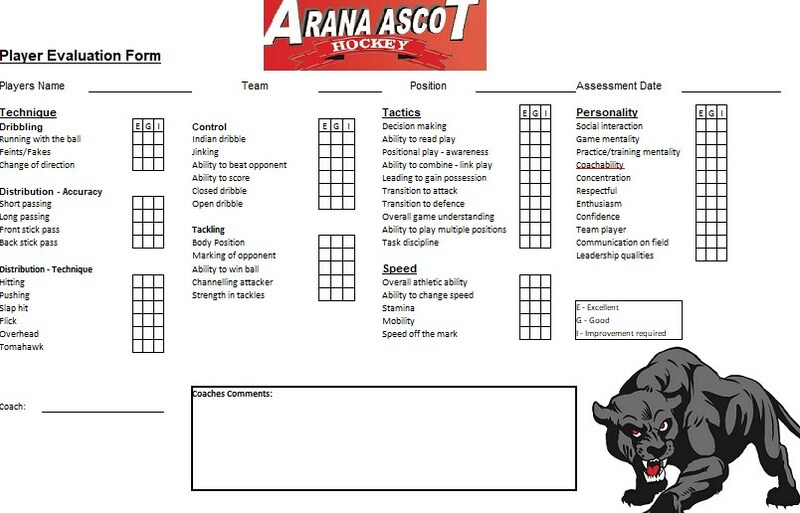 Coaches at Arana Ascot JHC are required to hold a Level 1 Coaching Accreditation if they are wanting to coach higher than under 9's. Parents are also encouraged to attend to learn more about the sport. 1. Planning - Plan your session PRIOR to training, not as you go. Create a training drill that focusses on key elements of the game, such as attacking drills, defensive drills or cornering techniques. Each week should be different, try not to run the same drills week in, week out. 2. Safety - This is paramount during training, all training activities need to be supervised. Pay particular attention to safety when players are hitting the ball. Education is critical, safety should be mentioned before every training session until it becomes the norm. Ensure there are appropriated distance during drills and educate players as to the safest way to go about the activity. 3. Control - Coaches need to maintain control with juniors, their attention span is much less than adults. In order to establish discipline plan and conduct effective training sessions. Effective ways to control the group is by a whistle, blow the whistle once and do not talk or commence an activity until everyone is stationary and silent. You may have to reinforce this a few times to start with. 4. Drills - The best drills are those where players are involved to a high degree rather than standing around for long periods of time. Start by making the drills easy then add difficulty, the only way juniors learn is by practising. Undertake a walk through to ensure all players know what they are practising. Encourage them while practising the drills and even pull them aside one on one while the drill is continuing to correct a technique. 5. Small Games - Each session should have a small game, kids love games. Coaches should use them to focus upon various elements of hockey, e.g. receiving on the move, decision making such as recognizing 2v1, where space is. 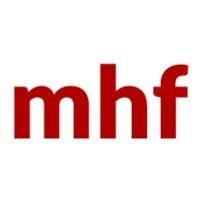 By using question and answer techniques you can understand what is going on through the minds of the players and therefore have a basis for changing their approach. 6. Correct Technique - It is imperative that the players to understand and learn the techniques correctly, especially the newer and inexperienced players. If a player is performing the skill incorrectly in front of you, then show them the correct method. This is particularly important with hitting. Teach correct technique now and it is easier later. It is important that all training sessions are planned, planning ensures that the young people enjoy the session and achieve the maximum benefits. The following general points should be considered when planning a session. A baseline run is a strategy used to pull the goalie away from one of the posts. 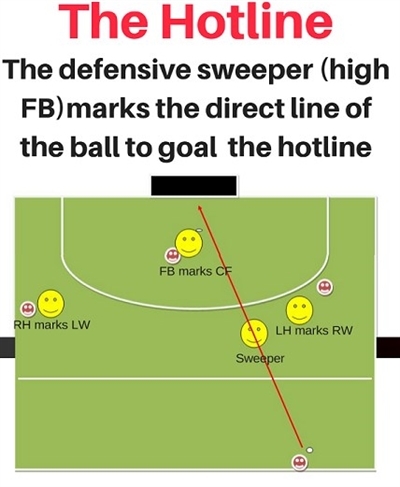 The ball will be played down one side of the field, which will commit the defensive players and the goalie to that side of the shooting circle. Preoccupied with the ball, the other side of the goal will be left wide open. A quick pass from the sideline/baseline to the spot will result in an easy opportunity to score. The right or left forward generally completes a baseline run. The ball is dribbled along the end line and toward the goal. When the dribbler is within about one or two yards away of the goal, she will make a quick push to the stroke mark. A player — generally the center forward — will be positioned at the stroke mark, ready to shoot. The first thing to know about marking is how to position yourself with respect to the ball, the opposing defender, and the goal. Always position yourself between the opposing player and the ball, or between the opposing player and the goal. This way, you can prevent the opposing player from getting to the ball before you can, and you can prevent her from having a clear shot on goal. Always face away from the goal. Doing so will keep you in position to defend the goal and clear the ball of the defensive zone. 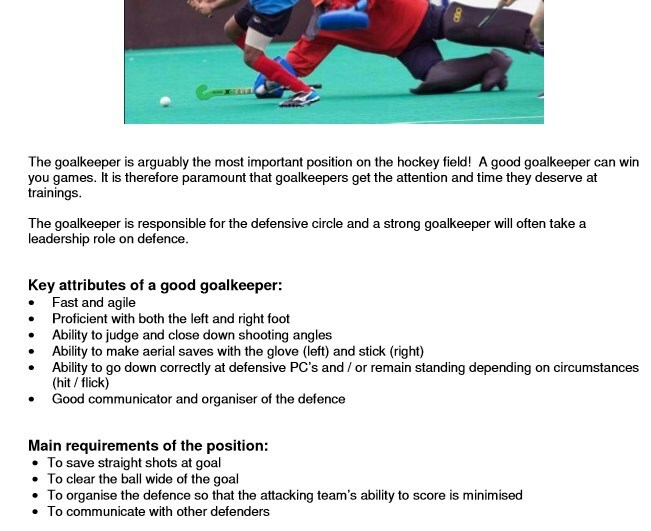 Also, position yourself about a stick’s distance away from the attacking player. By doing this, you’ll be close enough to defender her, but also ready for unexpected passes and possible interceptions. Man-to-man marking is a defensive tactic where each defender chooses an attacker on the opposite team to mark. The defenders’ jobs are to stay ball-side and goal-side when going against the opposing player so they can intercept the balls and block any potential shots. If you are marking a player, stand about a stick’s distance away from her and to her side. This will give you the option to either intercept a pass or guard her if she gets the ball. Watch the ball and not the attacker. The offense will try to distract you through fancy stick work — focus on the ball, not the player. For most of the hits taken inside of the 25-yard zone, you will use marking as your main strategy of defense. Unless otherwise specified by your coach, use man-to-man marking in the defensive zone. When you are outnumbered in the defensive zone, use zone marking or match-up zone; these will generally be used by the defense on a short corner.